Prepare for a professional career as a dental assistant or for further education as an expanded- function dental assistant, dental hygienist, dental lab technician, or dentist. Experience the satisfaction of providing high quality patient care in a team-oriented, modern dental office environment. Perform a wide variety of dental office duties with other dental professionals that include taking x-rays, mixing materials, passing instruments, sterilization and receptionist duties. Work alongside other dental professionals to ensure patients receive the highest quality dental care. I am a graduate of Muhlenberg High School. I received a bachelor’s degree from West Virginia University in Dental Hygiene and have worked as a dental hygienist in private practices for more than 22 years. 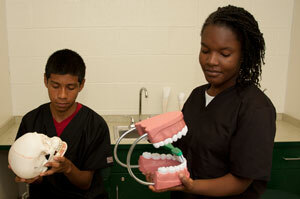 I taught Dental Occupations at Berks Career & Technology Center, East Campus, and am delighted to be teaching at RMCTC. I have worked as a clinical dental hygienist in private practices for more than 22 years. 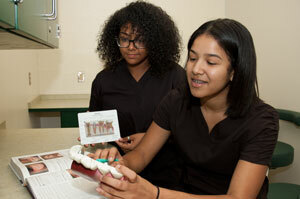 I also served as the long-term substitute instructor for the Dental program at Berks Career & Technology Center. I have donated my time to various organizations and charities throughout the community over the years. 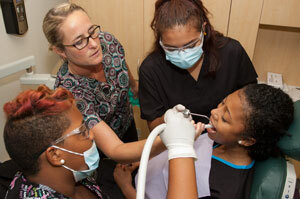 SOAR programs of study prepare today’s student for tomorrow’s high demand and high wage careers.